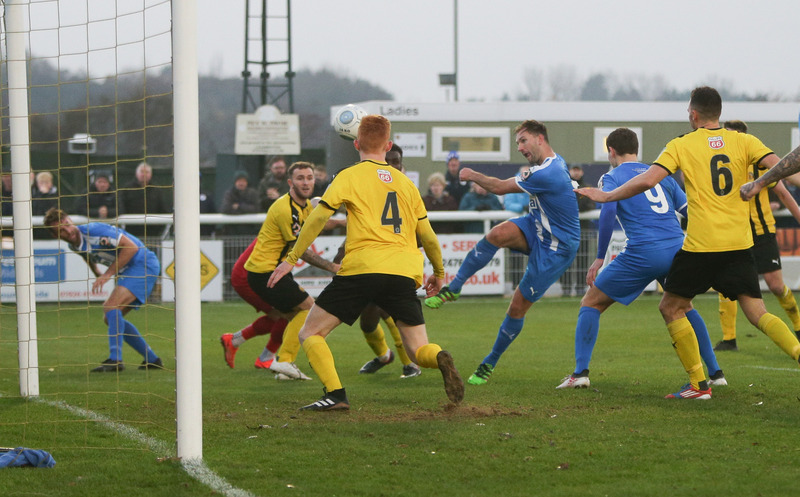 Chester suffered defeat on the road for the first time since August as Leamington saw through a 1-0 win at the Phillips 66 Community Stadium. Colby Bishop scored the only goal of the game in the 82nd minute, smashing home a rebound as both sides battled hard for a share of the spoils. Anthony Johnson and Bernard Morley made two changes to the lineup that drew 0-0 with York City in midweek, Jon Moran was reintroduced to the eleven, whilst new addition Adam Dawson made a start. The best chance of the opening exchanges came for Chester’s hosts this afternoon – the Brakes catching the Blues on the counter with Callum Gittings played through one-on-one, only to be denied by the outstretched Grant Shenton. 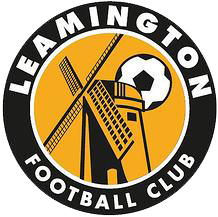 A shaky start for the Blues was almost capitalised on by Leamington, Shenton’s spilled ball gave Jack Edwards a gaping goal at his mercy but Gary Stopforth’s last-ditch lunge denied the Leamington number 10 his chance. A foul on Dawson from Gittings gave Chester their first real opportunity from a free-kick. Gary Gary Roberts floated the ball but Simon Grand’s header was weak and into the waiting hands of Tony Breeden. A yellow card for Roberts halfway through the first half signalled his suspension for the Seals’ game with Darlington at the Swansway in two weeks, although the Blues midfielder could well have been sent off for his rash challenge. Next, another of Leamington’s plethora of corners was perfectly placed to the waiting Jamie Hood at the back post, but Shenton flew out to block his header well. Then, against the run of play, Chester delivered the best chance of the first half. Dan Mooney’s inswinging free-kick was headed toward goal by Grand but his effort slammed against Breeden’s crossbar. The full-back provided the follow-up but his effort was kept out by the Brakes stopper. The Blues came out of the break the better of the two sides, although it was Leamington who came closest initially. Connor Taylor’s volley from the edge of the bos was well placed towards the bottom right corner of Shenton’s net but he reacted acrobatically to keep out his effort. Chester then came back with a near miss of their own. Danny Livesey pounced on a ball at the back post, leaving Breeden stranded in the process, but Steve Howson fired over with an open goal at his mercy. The visiting Seals had an effort cleared off his line, Howson nearly turned hero as his powerful header evaded Breeden, before Connor Gudger smacked it waywards. A huge chance came the Blues’ way with fifteen minutes to go as Craig Mahon controlled Dawson’s delivery but only saw his low strike palmed clear by Breeden. But finally the deadlock was broken with ten minutes to play – and it went the way of the hosts. Shenton made a low stop to deny Taylor but Bishop was on hand to slam home the rebound and give the Brakes sight of a valuable home win. Despite Chester’s hard fought attempts to nick a late equaliser, the hosts went home deservedly victorious. The Seals next travel to Southport on Saturday, as they kick off their FA Trophy campaign. 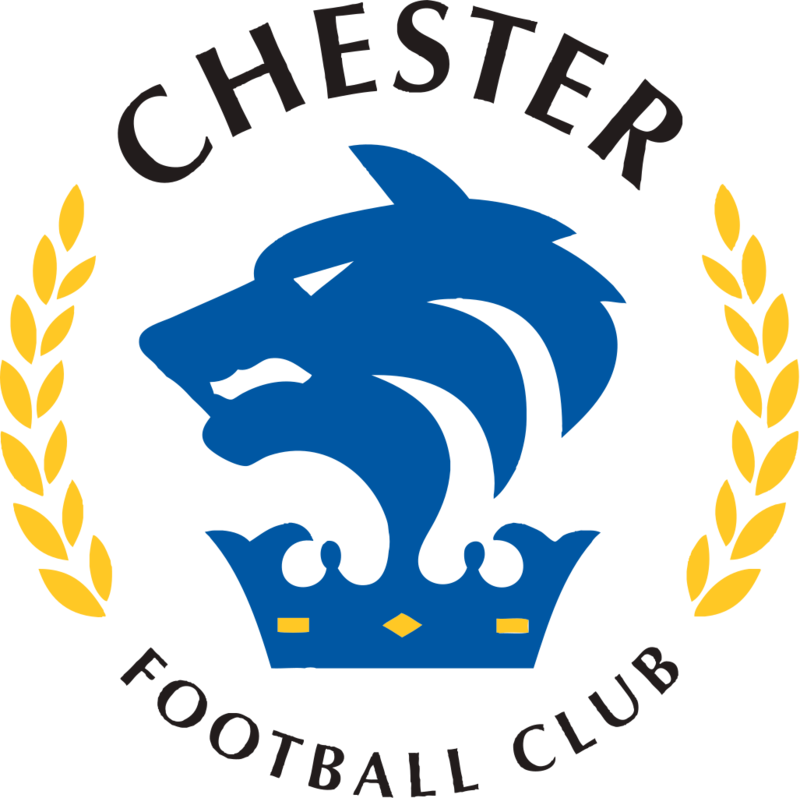 CHESTER: Shenton, Moran, Grand, Roberts, Livesey, Howson, Mooney, Stopforth, Dudley (Dieseruvwe 84), Dawson (Deane Smalley 84), Mahon. SUBS NOT USED: Dom Smalley, Noble, Pritchard.